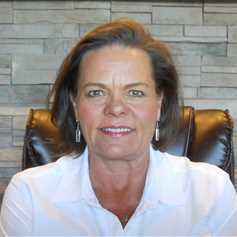 Stacy has been involved in rural and ranch real estate brokerage since 2004, selling thousands of acres of ranches and rural homes over her career. Stacy has an MBA and holds a position as Owner/Broker Adviser 2016-2017 with the Ruidoso Lincoln County Association of Realtors Board of Directors. She is a licensed real estate broker in Texas as well as New Mexico. She lives on a working ranch with husband Paul ,a fifth generation rancher, and enjoys the outdoor lifestyle and shooting sporting clays. They specialize in rural and outdoor recreational properties ranging from golf properties, big game hunting acreage, working ranches, horse properties, homes with acreage, or a quiet mountain cabin. She lives and works near the mountain village of Ruidoso NM, a destination resort community.